Seeds, Part I: Open source: There is so much to say about this (an entire movie is devoted to the subject — trailer available, limited theatrical release), but I’ll confine it to two main points. First, as many of you know, just a handful of massive agribusinesses (Monsanto, Syngenta, Dow, and others) own an astonishing 66% of of the commercial seed « industry. » And because of complex intellectual property rights connected to this, millions of poor farmers around the world end up using low-quality seeds rather than the more expensive patented ones. Thank God for projects like the Open Source Seed Initiative, who are committed to following the « open source » software model and applying this to seed distribution. By making these freely available to farmers around the world, OSSI aims to ensure that future generations will always have access to seed varieties without the sometimes-stifling conditions imposed by those proffered by the commercial sectors. Technology serving animals: That wasn’t a typo :) Project Concern International is leading an effort to work with communities in drought-plagued areas to map out traditional grazing areas, digitize this knowledge, and use map overlays with vegetation data. This is then given to locals to help them pinpoint areas of green pasture in real-time. Results? Herd deaths have been cut almost in half as pastoralists have been able to direct their animals to areas of grazing, rather than areas that have been drought-stricken. Global warming simulation: Researchers at the Hubbard Brook experimental forest have placed two miles of heated cables underground to heat up the forest in specific, measurable ways, in order to simulate and study possible implications of global warming. Here is an eye-opening video with Boston University biology professor Pamela Templer giving a tour of the forest and explaining some of the initial findings. Seeds, Part 2: Heritage seeds: The other main issue with respect to seeds is that « heritage seeds » (those seeds that represent our link with the past, and that are in danger of becoming extinct), are disappearing at an alarming rate. In 1994, the UN estimated that an astonishing 94% (!!!) of vegetable varieties have already been lost. These are gone, and with them the biodiversity that they engendered. But there are some isolated individuals and farms that are holding on to these heritage seeds. As these efforts grow, it will be easier for farmers and even those with just a small garden to use the type of seeds that are superior to agri-businesses’ commercial seeds on many different levels. 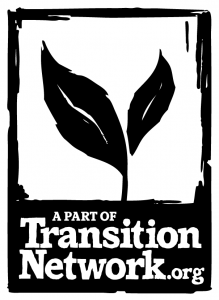 In case you missed it: A handful of this week’s best articles and videos from our sister site, the non-profit Permaculture Research Institute. Articles on homesteading, maximizing urban space, and a detailed primer on how to grow your own mulch provide a great deal of specific how-to’s. A more cerebral piece on « dendritic patterns » moves skillfully from the « what on earth is it? » to how it can be applied to design. Finally, a wonderful 19-minute mini-movie about a thriving 23-year-old permaculture food forest. If you enjoy these posts, be sure to bookmark the site as several new articles go up weekly, or check out thousands of other past articles, here. Feel free to forward to a friend. Anyone can sign up for the next batch. PS: The seeds issue I mentioned above is something that I feel particularly passionate about. If you share this concern, I’d recommend you consider helping two ongoing crowdfunding campaigns. The first (and the one that I fully endorse and support) is Kay Baxter and Bob Corker’s Koanga Institute; their efforts to collect New Zealand’s largest assortment of heritage fruit trees and vegetable seeds is unparalleled. And OSSI’s campaign for « open source seeds » mentioned above is about 25% of the way there. Both efforts deserve our assistance.